There are a lot of different reasons why an electric log splitter makes perfect sense to own. 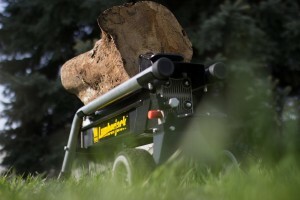 Electric log splitters have just fairly recently become a mainstream item, and before then, the only other option was to buy pre-cut wood or use a gas-powered log splitter to do it. These days, electric log splitters have made log splitting a much more economical and user-friendly experience. There’s no gas engine to maintain or be prone to breakage, there’s no additional gas/oil/maintenance costs, and if it breaks under normal operating conditions, it can be replaced using the warranty. In this article, we’re going to be showcasing the top 3 electric log splitters , along with tons of helpful, tips, tricks, and knowledge we collected through our own research. You’ll learn a lot, but more importantly, you’ll learn how to GET A LOT when it comes to making a smart electric log splitter purchase. This is considered by us the best electric log splitter on the market! Equipped with a professional grade, heavy duty hydraulic system, you’re truly getting the best that money can buy with the Boss Industrial ES7T20 Electric Log Splitter. Sure, it may cost a bit more, but as you may have noticed, as the price tag range of particular electric log splitters you’re considering goes up, so does the production quality, resale value, and likelihood to last through all the “use and abuse” you can throw at it without any problems. We’ll be providing a full review of the Boss Industrial ES7T20 a bit further down the page, and from there you’ll be able to see how the truly legendary design of the Boss ES7T20 surpasses other production models of electric log splitters available. A step up from budget variety electric log splitters, the Powerhouse XM 380 7 Ton Electric Hydraulic Log Splitter provides you with a bit more power than the 6 ton WEN 65202. 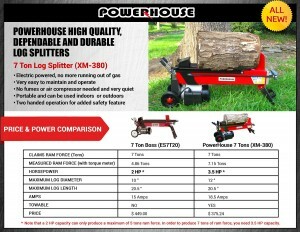 It’s manufactured by Powerhouse, which has only just recently begun mainstream production of log splitters, but has already amassed quite a following among log splitting professionals everywhere. As with any product you buy, you don’t want to spend too much and be “kicking yourself” for wasting money when you don’t have to. As far as overall value for the money goes, the Powerhouse XM 380 7 Ton Electric Hydraulic Log Splitter presents the best combination of value and features for the price. There’s nothing wrong with buying a splitter that’s affordable, especially if you don’t need to be operating at an industry standard grade of craftsmanship. The highest quality electric log splitters are built to exacting standards, are very expensive, and are built using materials that provide performance that everyday people don’t really need. Our pick for the best electric log splitter on a budget is the WEN 56206 6-Ton Electric Log Splitter. It has two-handed forced operation safety features, log cradle/guide accessory, 6″ wheels, padded handles for easy transport, 2 year warranty, and more! WEN is producing top quality log splitters these days, and if you read some of the reviews about WEN product quality, you’ll see they live up to consumer expectation 100%. So, if you’re looking to get a lot without spending a lot, and you’re on a tight budget, the WEN 56206 is a suitable option. And for people working with generator based power, a 2,000 watt generator will power this unit just fine. Firewood is one of the items in life that can save you a bundle on heating costs, as long as you don’t have a problem doing the chainsaw, splitting maul, and log splitter work yourself to make it happen. Just so you know, most figures comparing the cost of heating with coal, natural gas, electric, propane, and firewood are not telling the whole truth. What most heating cost comparison charts ARE actually showing you is the cost of the firewood chopped AND delivered for you, not the cost involved with you sawing, splitting, and seasoning it yourself. So Exactly How Much Can Cutting And Splitting Your Own Firewood Save You? A permit to cut wood costs $10, and allows you to cut and harvest wood at any natural lands area the permit allows for. But don’t forget, you also have to factor in the cost of your chainsaw and truck fuel, as well as the maintenance/upkeep they require. So if the only financial expense is the permit to cut the wood and maintaining/fueling up your equipment, then the only other expense is the time and effort you put forth. On average, burning 1/2 cord of wood every two weeks is about right when heating a 3,700 square foot home. Your average 1 ton pickup truck can haul between 1/2-3/4 cord of wood in a single trip. It takes a strong bodied, single man 10 minutes to cut down a tree and section it into rounds. From there, it takes about 2 hours to more precisely cut, split, and stack half a cord. So in total, about 2 hours and 10 minutes per half cord, with an able bodied man able to hold that pace all day long. The furnace you choose has A LOT to do with how much you actually save. Modern furnaces save 30-50% over the cost of older, less efficient furnaces. Also, keep in mind that cleaning your furnace at regular intervals ensures that it’s always performing at its best. A dirty furnace (mainly the chimney pipe and inner wood burning quarters) is MUCH less efficient at burning wood, and can cause a lot of other problems too. Leaving the furnace dirty exposes you to eye-burning smoke, increased risk of fire, and poor “air draw”. 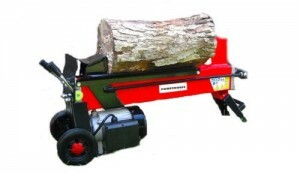 Electric Log Splitter Prices Are Super Low! Recoup The Purchase Price In Just 1-2 Years! The cost to buy an electric log splitter is incredibly cheap! And when you total the fuel costs associated with using propane, electric, or coal, you’ll see that putting in the effort to cut your own firewood saves you nearly 90% on your heating bills. And at under $300 for a high quality electric log splitter brand new, that’s equals a lot of money saved within just a few short years. You may even find that you like the exercise from cutting and splitting firewood so much, that you offer the service to friends and family, or even provide the service to the public as a way to make money! Know What Size Electric Log Splitter You Need Before You Shop! 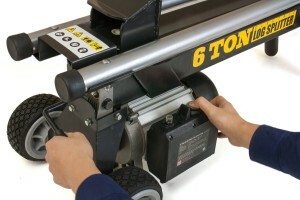 What ton capacity splitting force electric log splitter is best for you? Check out the chart below to see what ton capacity splitter you’ll be needing so you don’t risk overburdening your log splitter. Total RAM Splitting Force – You’ll want to know before buying an electric log splitter exactly how much RAM splitting force in tons it offers. But don’t think that more RAM splitting force tons is always better, of course, because if you don’t need the extra power, buying a high performance log splitter would be a waste of money. A less tonnage RAM splitting force model might very well suit your needs just fine. You can see our chart detailing the total splitting force you’ll need based on the diameter of logs you’re splitting a bit further down this page. And remember, log splitters are generally “hearty” work equipment matter what tonnage RAM splitting force they offer, so don’t think that a lesser tonnage/size model is going to be a “cheapo” or something. Maximum Log Size Capacity – Knowing what size logs a specific model/brand name electric log splitter can handle is crucial. If you buy an electric log splitter to help you make firewood, but then wind up getting upset that it can’t handle your log sizes, then you’ll be out of luck. Wedge Size And Design – Make note of the splitting wedge that comes stock with the electric log splitter you’re considering. If you already know a good deal about log splitting, then it will be easy to see if the wedge that comes with your log splitter will suit your needs. Most log splitter wedges can either be “switched out” with a different wedge, or be fit with a slide-over wedge to fit snugly over the original. There’s many varieties of replacement wedges for sale, so be sure to jot down your stock wedge size dimensions so you have it handy when replacement shopping. RAM Auto-Return Feature – Many electric log splitters come with an auto return feature built into the hydraulics. An electric log splitter with a RAM auto return feature takes a lot of stress off the operator, and allows them to get more done in less time. 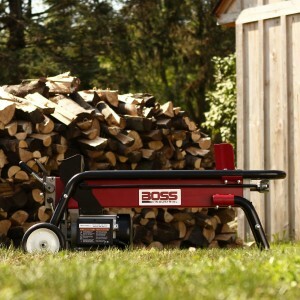 Total Cycle Time – A electric log splitter with a faster RAM cycle time means you’ll be able to split more logs, faster. 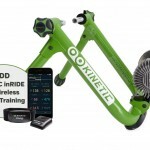 A cycle time of 15 seconds is considered to be VERY fast, but you also have to take into account that you might experience less torque / power with a model that cycles quickly. Solid Steel Construction – A solid steel log splitter is obviously going to last you a great deal longer than one with multiple parts or parts that can break easily. 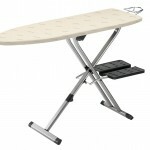 A solid steel design ensures that there’s nothing that can break off, get bent, marred, or otherwise damaged. Powered By 120 Volt Household Current – Being able to simply plug your electric log splitter in to any normal household outlet is a definite plus! Most every electric log splitter for sale in the marketplace comes ready to plug into any standard household outlet, and it’s ready to split! 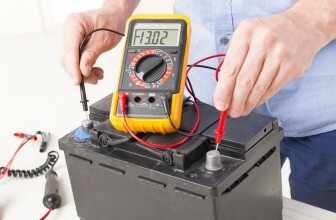 Dependable Warranty From Reputable Manufacturer – Ensuring that you’re purchasing a name brand model from a reputable company is very important too, as a no-name company without a proven track record of customer satisfaction might very well REFUSE to honor their “so-called” warranty altogether! Do a little background research into the company you’re considering buying your electric log splitter from, as it’s always a responsible habit to be in. We provided a brief introduction on this electric log splitter earlier, and now we’re going to outline the feature set so you can have a clear understanding of what this log splitter is actually offering. Professional Grade 2 HP / 3,500 PSI Electric Motor – Especially when splitting hard, dense wood varieties, you’ll be thankful for the power quality the heavy duty motor provides. The Boss ES7T20 engine is rugged, and a very good choice for people that don’t need to take chances on quality by having to find the cheapest option available. RAM Auto-Return Feature – Working with throttles that require you to manually return the hydraulic RAM to the starting positon can be tiring work and take away from the total production ability of a splitter operator. With the auto-return RAM feature, you save a lot of time and effort. Low Ground Clearance – Because the Boss Industrial ES7T20 sits low to the ground, it makes log loading a much less stressful experience. 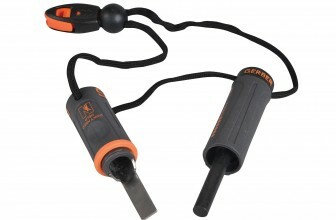 Durable Rubber Wheels w/ Wheel Lock – Not only are the highly durable rubber wheels able to “bite” into loose terrain, but they also lock in place so the splitter remains stationary when in use. 106 Lb Lightweight Design – Most electric log splitters available are characteristically light and easily portable. At only 106 lbs, the Boss Industrial ES7T20 can go anywhere you need it to go! 2 Year Warranty – The Boss Industrial ES7T20 not only provides you with superior build quality, but you’re protected from damage or breakage under normal operating conditions for a full 2 years from the purchase date. Other Electric Log Splitter Models Can’t Compare! 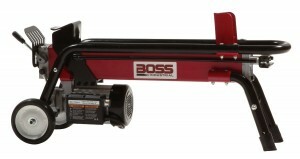 The build quality of the Boss Industrial ES7T20 Electric Log Splitter is well known in the log splitting community as one of the very best, and you can get one of these for just a “hair” more than you’d be paying for economy models. If you think about it, it makes perfect sense to buy high quality and depend on high quality to get the job done and have the best chance at problem-free log splitting! ESPECIALLY when the cost to own one is so cheap, and the ability to recoup the purchase price is so easy! The Powerhouse XM 380 7 Ton Electric Hydraulic Log Splitter offers the best combination of affordability and feature set we’ve been able to find. Other electric log splitters, offering the same 7 ton rating, deliver less horsepower and less RAM force, and they cost more too! Compare the feature set below to the other models you’re considering, and see if you don’t agree that the Powerhouse XM 380 is a surefire winner in terms of overall quality, feature set, and price! 3 HP / 7 Ton / 2,500 Watt / 3,500 RPM – Especially if you’re comparison shopping, the Powerhouse XM 380 7 Ton simply delivers more RAM Force and horsepower than competing 7 ton models, and costs less too! 15.7 Inch RAM Travel Distance – The RAM travels a total of 15.7 inches, so you’ll be needing to factor that in to the dimensions of any work space you’re wanting to use this electric log splitter in. 20-1/2-Inch Length And 12-inch Diameter Log Capacity – The slightly larger, 12 inch diameter / 20 1/2 inch length log capacity can come in handy if you’re trying to save time splitting and stacking many cords of wood at once. 6 Second Cycle Split Time / 5 Second Return Time – It only takes 6 seconds to make a single log splitting pass with this electric log splitter, along with a 5 second total retraction time to return to the original starting position. Highly Portable 104 Lb Total Weight – The light design of the Powerhouse XM 380 7 Ton Electric Hydraulic Log Splitter allows for easy portability. The compact size allows you to load it onto a trailer with a single person, as well as roll it off the trailer and into your “work zone” singlehandedly too. Two Handed Safety Feature – Like a lot of modern electric log splitters, the Powerhouse XM 380 7 Ton Electric Hydraulic Log Splitter demands that you have both hands on the splitter to engage, thereby reducing possible risk of injury. 1 Year Warranty – While the warranty on this splitter isn’t all that great, YOU ARE protected from any factory defects coming off the assembly line. When Does It Make Sense To Own A Higher Capacity Log Splitter? Although the difference between a 7 ton splitter and a 6 ton is only a single ton, the extra ton IS CAPABLE of saving you cutting time in the “field”. Less chainsaw and splitting maul work means you’ll be left with larger log pieces. A slightly higher tonnage splitting force electric log splitter allows you to split larger pieces without risk of burning out the motor prematurely. 12″ diameter seasoned wood is the perfect size for the Powerhouse XM 380 7 Ton Electric Hydraulic Log Splitter, whereas the WEN 65202 is only able to provide support for 10″ diameter seasoned wood. And if you think about it, it makes more sense to have splitting power available that you might not need right now, than to be without it when you do need it. And as far as purchase price goes, the 7 ton capacity does cost a bit more than the 6 ton WEN 56206, but not by much. It naturally makes sense to purchase a slightly higher capacity log splitter for times when you might need the power, rather than just be out of luck. Example? Lending the splitter to friends or relatives who might need it, or allowing people to rent the splitter from you on a daily/weekly basis. 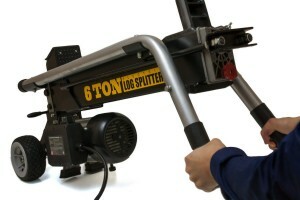 Higher capacity log splitters can accomplish more and are thusly more attractive to people needing to rent one. Although there have been some complaints about the WEN 56206 not being able to handle knotty type wood well, it does perform as it should with most wood types and ages. The hydraulic cylinder is filled with AW32 hydraulic oil that’s only good down to about 40 degrees Fahrenheit, so if you’re looking to operate in colder temperatures than that, you’ll need to drain the cylinder and refill it with auto transmission fluid. Auto transmission fluid doesn’t perform EXACTLY as well, but there’s not MUCH of a loss in power overall. 2 HP/15 Amp Copper Wound Motor – Supplying 12,000 pounds of force (6 Tons), is enough to split 10″ seasoned log pieces with no problem at all. Any higher than that and you’ll be pushing the motor too hard to accomplish the splitting, and the engine will complain. But if you’re dealing with 10″ diameter and up to 20.5″ in length, the WEN 56206 will work out just fine. 15-1/2″ Ram – The 15 1/2″ RAM pushes OUT to a maximum of 15 1/2″, as the hydraulic cylinder uses the push plate to split the logs with the wedge. This is useful to know when calculating size demands of where you’re going to be using your WEN 56206. 4.5″ Wedge – The 4.5″ wedge size provides an adequate amount of splitting ability for 10″ diameter logs. Also, you can always replace this stock wedge with an upgraded/replacement wedge sold separately from various retailers online. They come in multiple sizes/design types to choose from. 4″ X 4″ Push Plate – The 4″ X 4″ push plate provides you with a respectable amount of log grip and stability when throttling logs into the wedge. Built-In Log Cradle/Guide – The included log cradle/guide helps to prevent operator fatigue and ensure logs get split correctly, every time! 10″ in Diameter And 20.5″ in Length Log Capacity – Logs up to 10″ in diameter and 20.5″ in length can be split without “wearing down” the motor. Trying to split logs bigger than the supplied size guidelines, and you risk wearing down / damaging the motor prematurely. 2 Handed Operation Requirement Safety Feature – Injuries among log splitter operators have been known to happen more frequently when single hand operation is involved. 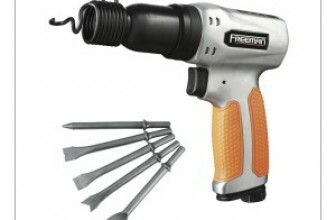 The WEN 56206 comes with hand sensors requiring you to have both hands applied to the splitter. If one hand is removed, the RAM is electronically instructed to automatically return the RAM to the starting position to prevent any injuries. Easy Portability With Comfort Grip Handles And 6″ Tires – The 6″ wheels allows you to traverse rough terrain without difficulty, while the two comfort wrapped handles provide plenty of padding to prevent sore hands. Indoor/Outdoor Usage Compatible – Because the WEN 56206 6-Ton Electric Log Splitter is electrically driven, there’s never any dangerous fumes to worry about. That means you can use it in an indoor/heated garage setting and never have to worry about freezing temperatures, rain storms, or other poor weather conditions. Compatible With Up To 50′ Extension Cords – Using an extension cord longer than 50′, and you might begin to experience some degradation in the splitting force delivery. It’s always best to follow manufacturer guidelines, which in this case state that 50′ is the maximum length cord allowed for proper functioning. CSA Approved And 2 Year WEN Warranty – CSA approved means that you’re getting an additional level of safety and quality standard certification with this splitter. The 2 year warranty ensures that if you experience a product defect, you can get a refund from WEN or Amazon guaranteed. Gas engines run at 3600 RPM, and most electric motors run at 1750 RPM, so an electric driven log splitter is always going to “air” on the side of delivering more torque per cycle when the horsepower of both the electric and gas engine are rated the same. When an electric motor slows down, unlike a gasoline engine, it does a much better job of maintaining it’s torque. A gasoline engine possesses what’s referred to as “peaky” torque, where the load on the engine dictates the strength of the torque delivery to a great degree. In a gasoline engine, you’ll find that the highest amount of torque is found in the middle of the powerband (engine at half throttle), whereas with an electric motor, the torque delivery is maximum at low RPM, and nearly zero at peak RPM. 4.0″ bore is best average for all-around log splitting, and most people find that this size hydraulic inside tube diameter provides the highest amount of all-around “sweet spot” performance. When working with an electric log splitter, it’s helpful to remember that the more you work with them, the more skilled you’ll become at using them. 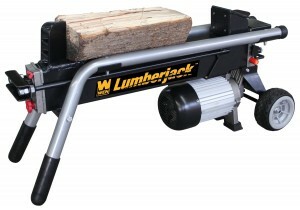 Because electric log splitters are much less powerful than their gas-powered cousins, an electric splitter requires a lot more angling techniques and cycles per log in order to split the log successfully. You can watch many videos on the Internet of electric log splitter operators using their trained hand-eye coordination skills to continually adjust the position of the logs, as well as making multiple passes, in order to achieve a “clean split”. “Seasoning” / “Curing” cut logs that you’re using for firewood is a necessary measure in order to keep your firewood healthy and ready to burn at all times. The ideal time to stack your firewood for curing is in the end of Spring. Ideally, stacking the wood in single rows, spaced plenty of room apart, allows for proper evaporation/ventilation of the wood moisture. The sun evaporates the sap consistency wood moisture, and the air naturally carries it away. 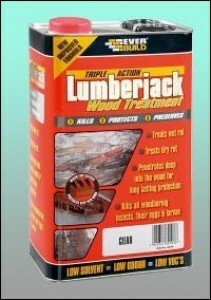 Ensure your log pieces are no more than 6-18 inches in diameter, optimally. At the end of the curing process, which can take between 6 months and 2 years depending on what kind of wood you’re choosing, you’ll want to test the moisture level of the wood. This can easily be accomplished through using a wood moisture meter. The moisture content should be less than 20% to allow for safe burning. Above 20%, and you risk running into problems with tar deposits and mold. Also, be sure to store your cut wood in a cool environment to keep the wood free of insects and other pests. One-Hand Log Balancing – After lifting the log onto the splitter, the next step is to position and balance the log so it’s ready to be met with the splitter wedge. You’ll often see electric log splitter operators doing this with one hand, and using their other hand to engage the splitters throttle to cycle it. “Split Groove” Whittling – With the first cycles/passes for each log piece, log workers are often seen making multiple attempts to whittle a “split groove” into the log itself. Once the “split groove” is accomplished, the cycle passes get deeper and deeper into the “split groove” with each cycle/pass, working towards the middle until a “clean split” is achieved. Release Valve / Hydraulic Bleeding – Bleeding the hydraulics of your electric log splitter can be accomplished by turning the release valve screw counter-clockwise, allowing the RAM to retract until fluid comes out, and then turning the screw clockwise to seal the hydraulics shut again. This prevents any accumulated air from remaining in the hydraulic shaft, which over time can cause the splitter to run roughly. Also, with no air in the hydraulics, you get the highest level of performance at all times. 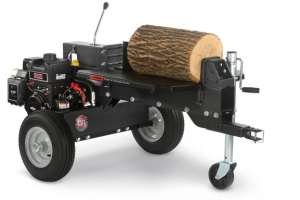 Gas Log Splitters Offer More Power Than You Need – Gas powered log splitters are extremely powerful, but for your average firewood connoisseur, it’s extra power that they’d never be able to make use of. Gas Log Splitters Are Too Noisy – The solution? Electric! Electric log splitters require VERY little maintenance, they’re powerful enough to cut small to medium sized logs with ease, and they’re QUIET! If you’ve got neighbors, you already know that a huge noise disturbance (such as from a gas powered splitter), would definitely mean arguments or fights about noise. Gas Powered Splitters Are SUPER Expensive – For a good quality gas log splitter, you can expect to have to pay about 3 times as much as you would for an electric one. And that’s for one that’s just DECENT quality. If you want a professional grade gas splitter, you’re looking at a total cost of $3,000 dollars or more! AND you have to factor in the cost of gas, oil, and maintenance/repair costs too! So, as you can see by all the information we’ve presented, owning an electric log splitter over a gas-powered model, when considering the needs of the average person, makes a lot more sense. By buying an electric log splitter, you’ll save a lot of money, both through the purchase price and the fact that they require nearly zero maintenance. And, as you read above, there’s lots of ways you can upgrade your stock electric log splitter by purchasing accessories like log catchers, log cradles, work tables, and tool caddys.